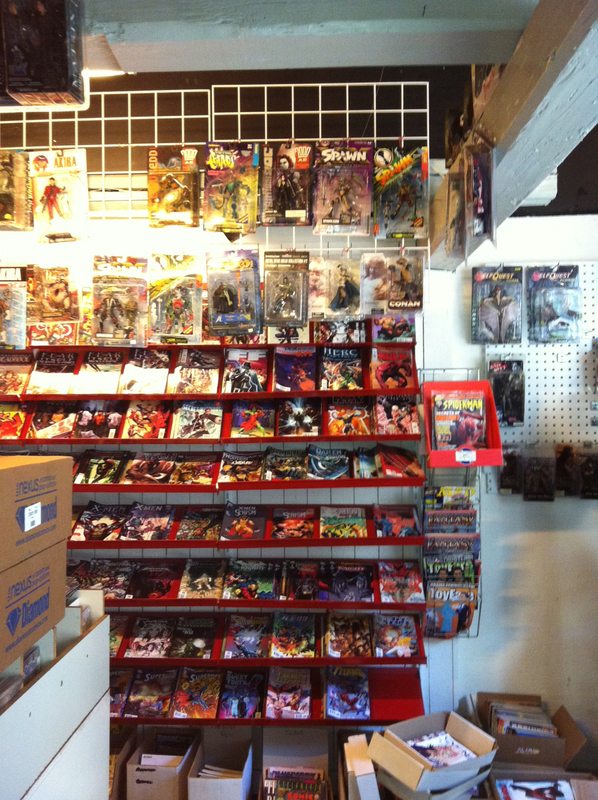 Tucked away from the main shopping street in Aarhus, Denmark, down a little corridor of graffiti and ivy, is a small comic book shop bursting at the seams with comic book goodness -- Komics. I visited the store for the first time today to purchase bags, boards, and short boxes -- all of which I had to leave behind when I moved from the States a couple of months ago. Long story short, after much online research it became clear that purchasing the supplies from my semi-local comic book store would be more cost efficient than having them shipped. 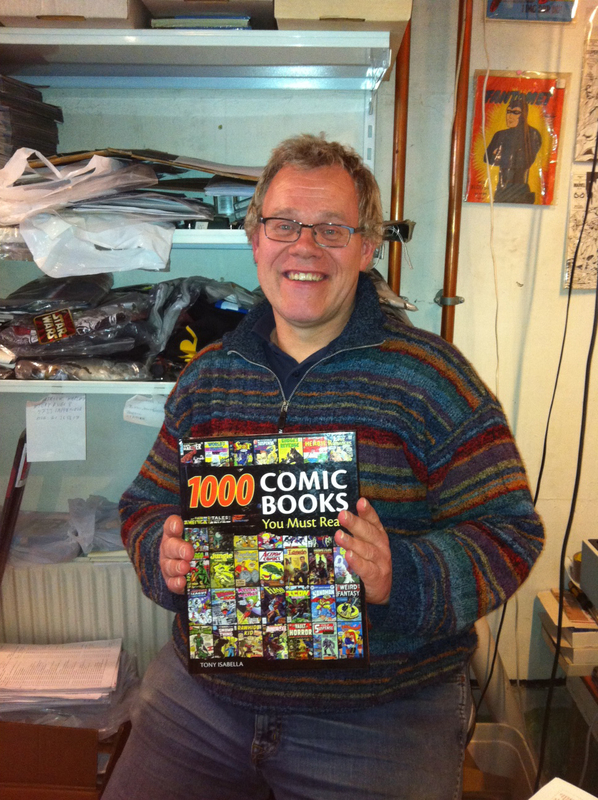 So this morning I hopped on a train and spent a nice afternoon chatting with owner, Kjeld about comics and what not! Here are a few pictures I snapped with my phone of the inside of Komics! Naturally, I forgot to take a picture of the outside sign... next time! At some point in our conversation, the owner pulled out a copy of 1000 Comic Books You Must Read by Tony Isabella -- 1970s romance comic book editor and Sequential Crush reader! Small world, eh?! So now, I can breathe a big sigh of relief that my comics now have bags and boards and boxes to live in! And if you ever find yourself in Denmark, be sure to visit Komics! Happy United Nations Day from Teen-Age Love!